Well hello to you my reader chums! 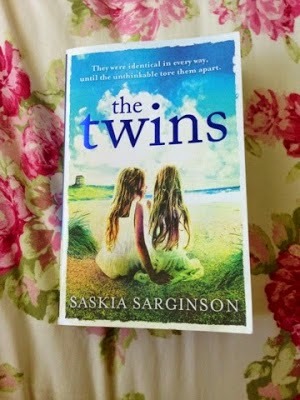 If you read my current favourites post, you'll know I've been loving the novel 'The Twins' by Saskia Sarginson. I was able to sit down and finish it and oh my goodness what a good book it was! Initially the thing that gravitated me towards this book was the fact it was about twins. As I'm a twin myself I love reading different ideas and perspectives on what others think of twins or how they perceive them to be. The author got this idea spot on, some of the thoughts the two characters have are very relatable to how I've felt about my twin. I love the way she switched from twin to twin giving their view on the all the stories and flashbacks that occurred in the novel and how it affected them individually because usually twins are treated as one person so its refreshing seeing the twins have their own views. The plot itself, was really insightful, interesting and thrilling. From the first page I was hooked into Viola and Isotle's life, wondering what was to come and what to expect. This novel was an easy page turner, drawing you in on every single page, leaving you wanting more. It explores the ups, downs, heartbreaks and all the fun times in the twins life and unwinds why they are like the people they have become. The book has a couple of unexpected moments that were shocking and ends on a point leaving you to make up in your own mind what you think is going to happen next. I think by ending it like that was quite satisfying because its dependant on the reader what they think will happen from that point further and didn't finish on a happy or sad moment, but a hopeful one. The characters in the story, I really warmed to, as the novel is so insightful you learn a lot about the characters mainly Viola and Isolte and feel for the heartbreak and torment they go through in their family. Also, you share the joy when they spend time with John and Micheal, as well as learning a lot about their bond which is a key thing. Even though they are twins, they are still really different from one another and did keep secrets from each other in fear of hurting the other or being the one hurt by the other. I think this element was a good way in exploring their relationship because it showed despite their bond they do need their own privacy. This book is such a bitter sweet read, with all the things that go on, however its was so amazing I just couldn't put it down and I would really recommend it! I could sit here all day and say how much I enjoyed the novel, but I wouldn't want to give anything away and those who haven't read it, can find out for themselves! Great post, I love reading books that make you feel emotional, I am so envious of writers who can make you all so many different emotions at once. Definitely going to put this on my reading list. Thanks for sharing! Having never heard of the book, it did intrigue me. 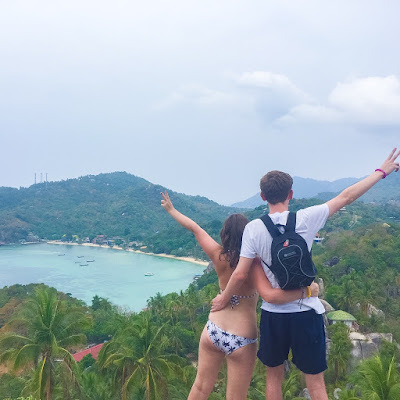 As a kid, I was always a HUGE fan of the Olsen twins (and still am to this day), so I had always wanted a twin and remember asking my mum 'Muuummm, why don't I have a twin?' - Mum didn't know what to say! haha! b) this book seems to have an interesting plot! Sounds neat! I'm friends with 4 pairs of twins and it's so interesting to be in their presence. I can definitely feel like they've mastered communicating with each other haha.